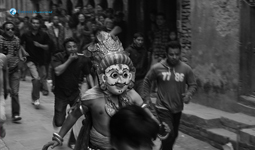 This picture was taken 2 years back in the Nava Durga Jatra in Dhulikhel. Parvati, the Sakti of Shiva, in tantric tradition. 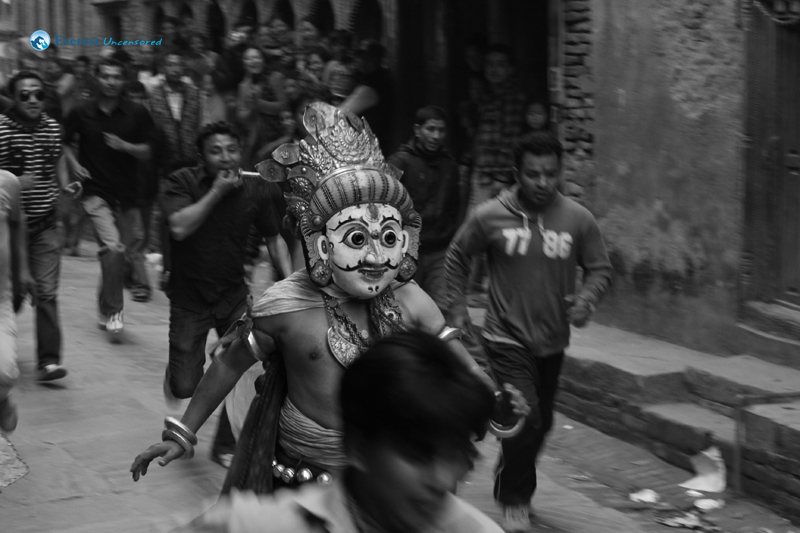 The Nava Durga dance proceeds according to the beatings of Dyokhin and the performances of Taa (a pair of thick, small cyambals) and Kanhe-baja. The Dyokhin, Taa and Kanhe-baja have symbolic meaning. It is said that the ringing sound of the musical instruments of Nava Durga dance not only gives the rhythmic signals to the dancers but also removes the people’s troubles and obstacles caused by evil beings.